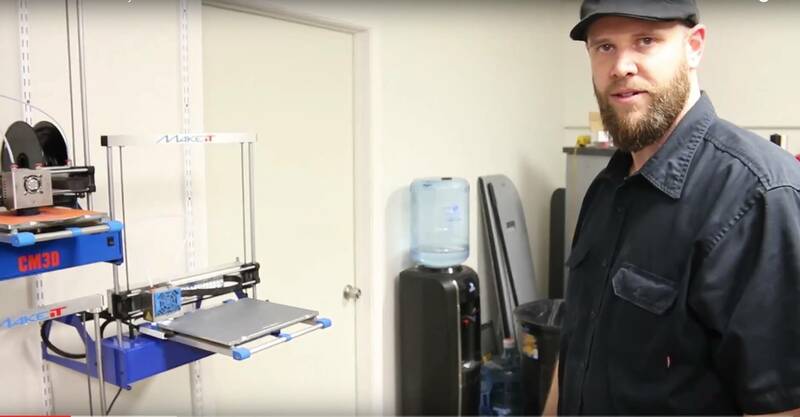 Aaron Hamby from CM3D – MAKEiT Printers for Professional Services | Makeit, Inc.
Aaron Hamby is the founder of Creative Manufacturing, a California based manufacturing services firm. Aaron made 3D printing a part of his business model a few years ago, in addition to other more traditional manufacturing services. Today it has grown into a core money-earner for CM3D, and that’s due in part to utilizing MAKEiT’s 3D printers excellently suited for manufacturing. Hear what Aaron has to say in his honest opinion about how MAKEiT works for his business and why our printers are so effective for his needs.